Crónicas de la Tierra Exhibition. 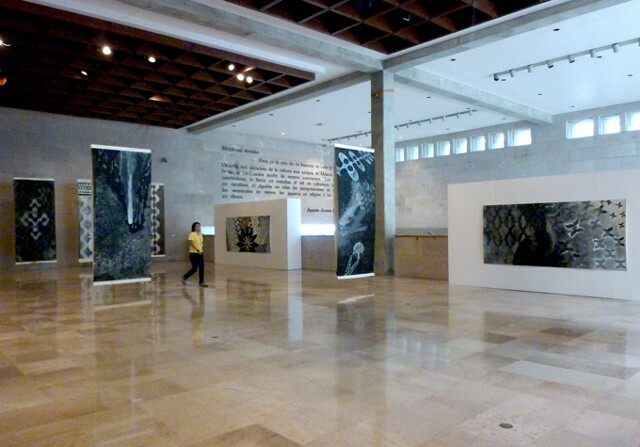 Crónicas de la Tierra (Earth Chronicles) Solo exhibition at the Museum of Anthropology in Xalapa, Veracruz, Mexico. The show consisted in 13 large pieces (Earth Chronicles and Morphic Resonance) and 9 smaller pieces (Domino Series). The architecture of the Museum is stunning, all made out of stone. The show was superb . We got a lot of local press. It opened June 28 and will be closing August 4.